I love Fall and Halloween! I enjoy the changing of colors, cooler air, leaf piles, harvest season, and so much more! To me, this is a great time to incorporate seasonal or holiday inspired loose parts. 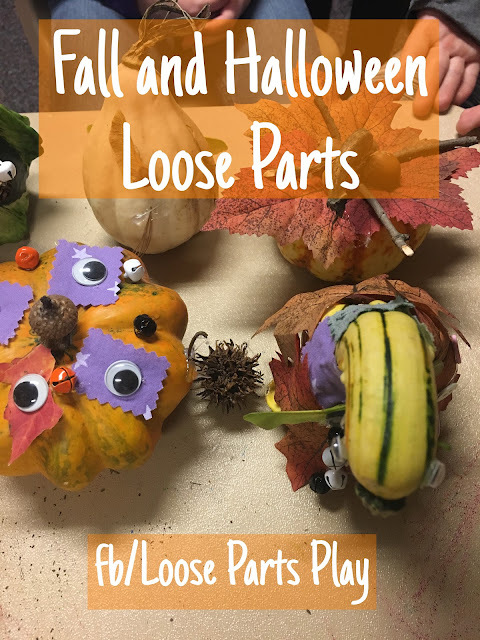 I've linked to a lot of my related blog posts so feel free to explore the hyperlinks, including my post on 30+ ways of approaching Loose Parts Play.